Maneka Gandhi will contest Lok Sabha elections from Sultanpur, a seat represented by her so Varun Gandhi. Maneka Gandhi will contest Lok Sabha elections from Sultanpur, Uttar Pradesh. With less than two weeks left for the Lok Sabha elections, Union minister Maneka Gandhi began her campaign Uttar Pradesh's Sultanpur, the place where she began here political journey, today. "After I lost my husband, I had left everything to God. And today, when I see an army of party workers and the enthusiasm in them, it seems that we will win the polls," she said at an event today. "It is necessary for you (people) to know about your prospective MP. How did I win elections from Pilibhit? Every person knows that whenever anyone had sought some help, the person has not returned empty-handed," the seven-time Lok Sabha lawmaker said. 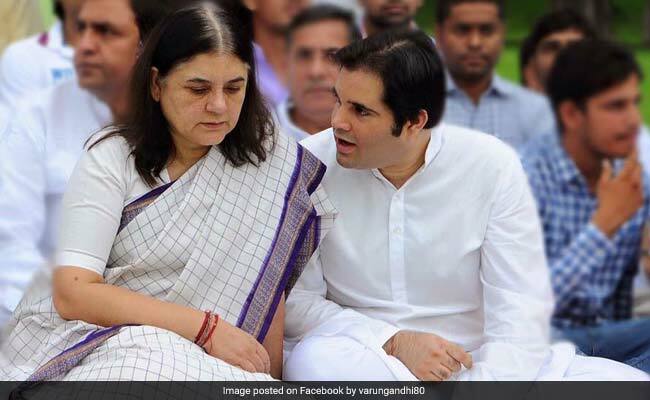 Maneka Gandhi will fight from Sultanpur, a seat represented by her son, Varun Gandhi, who will contest from Pilibhit in the Lok Sabha election. "My son has done a lot for Sultanpur. He would spend all his salary on the poor," she said. This was Maneka Gandhi's first visit to Sultanpur after she was named as the BJP candidate. She had won from Pilibhit on six occasions, while in 2009 she won from Aonla.